You are here: Home / Dover PA / Paranormal Investigator asks Is Dover, PA haunted? Paranormal Investigator asks Is Dover, PA haunted? Dover Borough is 250 years old this year. There is a lot of history in Dover, not only the town but the whole area. People lived, worked, and died here; most were probably from natural causes. But, there were some that were not so natural. It’s not whether a person dies by natural causes or by another tragic event, they say when your time comes, it comes, whether you are ready or not. What about those individuals who are not ready to go? Whether they have unfinished business, they choose to stay with a loved one to help them through their grief, to give someone a message or perhaps it’s the fear of the unknown, not knowing what lays waiting for them beyond the light. There are many reasons that spirits stay in this realm, most of which we will never really know the answer to until our time comes. And when that day comes for me and a ghost hunter asks if I have any messages for any one, BOY HE’LL BE SORRY HE ASKED THAT QUESTION! 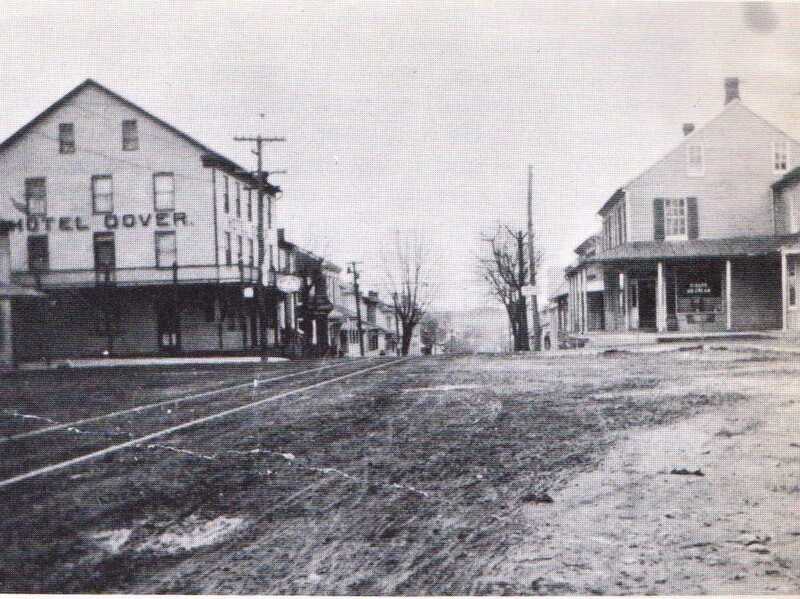 Looking at the Dover area in general, it has a very long and interesting history. The Confederate Army came through Dover and some of their troops were in need of medical attention. A local doctor on the square tended to these men who were probably wounded during the battle of Hanover. I’ve searched and have found that the Confederates did have wounded and dead from this battle. I have yet to find where the soldiers who died were buried. I’ve been told stories that on the square of Dover people have seen the apparitions of Confederate soldier’s still standing watch over the square. I’ve also been told of a patch of woods in Weiglestown where people have seen the ghostly images of Confederate soldiers in the woods. Undated-looking from 2 N. Main towards Weiglestown. It is fact that the underground ground railroad came through Dover, a house on North Main Street is said to have been a safe haven for slaves coming to the north. The house is rumored to have a lot of activity in its basement. Could this activity be caused by the spirits of those slaves that were seeking freedom and dying from sickness before they reached their free home? Are they still seeking their freedom? The borough fire station has two spirits roaming through the building; they are both older gentleman who probably loved being around the fire station. We speculate that when they died, their feelings for the fire station and/or the people there were that strong they were drawn back to the station where they “help or watch over things”. There is also a small boy there, he is not connected with the fire house, but the land the fire house sets on. He may have lived on this land or died on this land, it is hard to say. He is a lost soul and must find some comfort being in the fire station. He is a bit of a prankster. 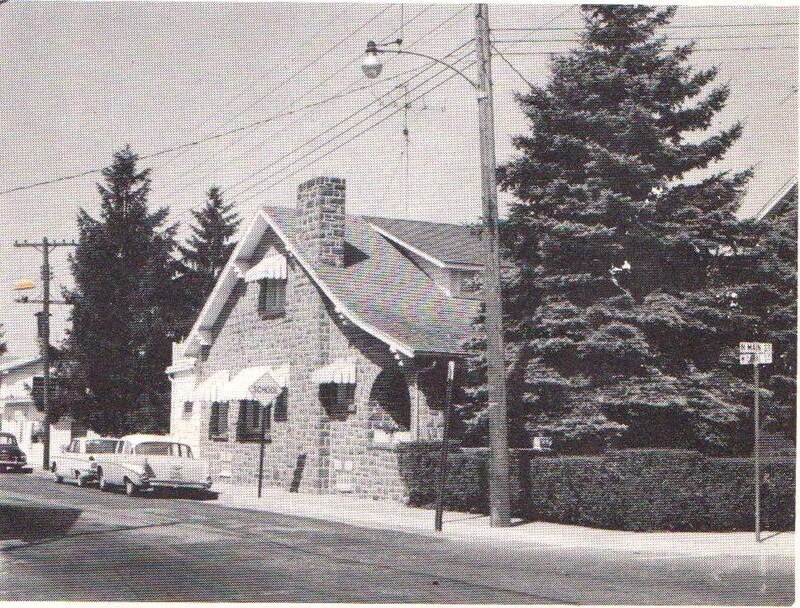 There is a story I have been investigating and researching that took place in August of 1957. It involves four young boys, two pairs of brother—Weaver’s and the Baker boys–who were tragically, killed by a bazooka shell. Somehow, the boys got obtained three bazooka shells while visiting their brother in the service. One day the boys were playing in the yard and one boy climbed up a tree near the house and dropped the shell to ground below. The shell exploded and three boys were killed instantly. The boy who dropped the shell was blown from the tree and his leg shattered. He died later that afternoon. This all took place literally in my own back yard on a hot August day in 1957. Over fifty years ago there was a farm house where my house sets today. This story shows how time has a way of erasing the past. I found out about this from a friend who lived her whole life in Dover. I started searching and finally found the story of what happened. I find it sad that these boys have been forgotten because they died in another generation in time. The boys are still here, they are attached to the land. Donna, our Spiritual Investigator for Dover Paranormal Research Team lives in the small development behind me, no more than a hundred yards away. She has a gift where she can feel the energy of spirits. The boys showed up in her kitchen a few days after she moved in, attracted to her by her energy. We’ve done short EVP (Electronic Voice Phenomenon) sessions in my back yard and captured a child’s voice saying “Yes” confirming a question that was asked. There is an undisclosed house in the Dover area from the early 1800’s that the owners have allowed us to come in and investigate home many times. The local historical society did a deed search and found the names of the families who owned it since it was built. We have been investigating this home for over three years and have dozens of EVP’s from inside the house. We know the names of the spirits who still reside there and we have found their names through one of online genealogy search engines. The names that appeared in the search match the names of a man and his daughter that once lived in the home. They have spoken to us on numerous occasions. This is known as a “Disembodied Voice. Like the night a little girl told us “HELLO”. As she said this, we had a camera on a table focused on an EMF Meter, a K2 meter to be exact, and when she spoke her voice registered on the meter. We have all been called by name at least once or more during our investigations. The spirits of the house have accepted us just as it did the home owner. I’ve heard many stories about houses in the Dover area that are rumored to have paranormal activity. We wanted to do a Haunted Ghost Tour through Dover this year, but could not find enough stories to tell, we are hoping for next year. So if you live in a house that has strange things going on such as whispers, voices, footsteps, things disappearing and reappearing in another place, animals acting out of sorts, staring at things you can’t see or growling at something that is not there, chance are it is paranormal activity. There is another tragic story where a small shop owner on the square of Dover was killed during a robbery. I can’t help but wonder if he is still working in his shop. We have conducted investigations in a local church which is several hundred years old. The congregation has seen shadows and heard voices through-out the church. We caught a lot of EVP’s and came to the conclusion the spirits were there for the same reason the spirits were at the fire station; the church was a favorite and familiar location and they felt comfortable. One of our more interesting investigations was an old early 18th century, log, farm house. The owners were restoring the house back to its original state. They asked us to come into the home and check over the house and land. We believe the house may have been once owned by an old witch. When one of our investigators stated a phrase that one witch would have said to another witch, we caught an EVP that said “Hello”. Out in the field, we had a static recorder set up that ran all night. On it we found what sounded like Native American Indians chanting or singing. We at Dover Paranormal Research Team do not refer to spirits as ghosts, we refer to them as people or if we have one, we will call them by name. We treat them just as if they were sitting across the table chatting with us in life. After all, they were people once, so why would you not treat them as you would if they were alive. We show respect to them, unlike many of the TV shows where the investigators yell and swear at them or make threats. Let’s face it, if this is how you were treated by some fool stumbling around in the dark yelling and cursing at you, would you talk to them? I don’t think so. They still probably think they are fools for stumbling around in the dark, asking a lot of questions, snapping pictures with our bodies covered with all sorts of electronics. We hope they talk to us because we are doing one thing that the guys on the TV shows aren’t and that is showing them our respect. We treat the site with respect, we treat the property with respect, and we show respect to the owners of the property. We begin an investigation by saying “Hello” and afterwards thank them for allowing us to speak to them. We also introduce ourselves and explain why we are there. We know it’s working when we hear a very soft, ghostly “Good Bye”. We then remind them that they must stay there and they cannot come with us. Ah, what about evil spirits or demons? This is an area that I will only say a little about. Everyone has their own religious beliefs, as it should be. We are not out to change religious beliefs and most of what I say about this is my own personal beliefs. I believe that when someone dies their disposition in death is the same as it was in life. If you were one mean, nasty, SOB in life, well guess that’s probably the way you will be in death too. To be honest, the worst thing we have ever come across is negative energy, some will call this evil or demonic, it’s all in your religious beliefs. We have found in cases like this the negative energy was manifested by the family. Have ever known anyone whose family did nothing but fight and argue constantly, never having a nice word to say to anyone? Ever notice how heavy the air is and just the overall negative feeling in the house itself? This energy feeds off of fighting, fear, anger, and distrust. When this is taking place, it is constantly growing and feeding off of you. Negative energy itself can make you sick, depressed, angry, and emotional. And this is where I will stop with the subject. Our services are free and all information is confidential unless you say otherwise. We are made up of five people; we have one young man, Kevin, who is an investigator on our team. Since he is the youngest member, he gets to carry all the heavy stuff for the old people. He keeps telling us he hopes we get a new kid someday to help him. Carl is our lead investigator and cofounder of the group. He is our skeptic and keeps us grounded, which allows us to look at evidence with an open mind. Donna is our spiritual investigator and cofounder of the team. She has a gift of feeling spirit’s energy and where they travel. She goes into a site and tells us what she feels. She knows nothing going into an investigation, when she is done with her walk through she will sit down with the owners and explains her findings. This is always my favor it part, watching the owner faces when she tell them what’s been going on. Then we have the owners explain to her their experiences. It’s always amazing at how accurate she is. John is our newest member and also an investigator. He has an interesting way of looking at things which makes us stop and think twice about some of the things we experience. I am Tom, the old man in the group. I am disabled but, I do what I can to help. I am the team’s Case Manager, Researcher, Investigator, Computer Geek, Inventor and Web Master. Together, we make up Dover Paranormal Research Team. Our investigations are held on Saturday evenings, we do not go all night because we are all above the age of 40 (except for Kevin). We are not a bunch of kids looking for a thrill. We do this because we all have had our own paranormal experiences. When we formed this team we decided our investigations would be done scientifically. We would only tell the truth and not exaggerate our evidence, being up front about everything found. We have no reason to lie or deceive people. What is the point of that? I was taught a very long time ago to tell the truth . . . that lying will only come back to haunt you. Our evidence is our proof that what we show you is real. If you choose not to believe, that is your choice, but we know it is real. We do this because we all enjoy helping people, especially when someone is experiencing paranormal activity, and needs explanations of what is taking place. Many people have no one to turn to when this happens and are afraid of what people will think. We do this because we want to help you understand. So if you need help contact us. Our services are always free. If you have a group of people, whether it be just a few friends or a club or organization who would like to hear our thoughts, experiences and evidence contact us, our seminars are also free of charge, but we do accept tips! So that being said, I thank you for reading our article. We bid you a good bye and tell you that you must stay here and not follow us home! Happy Halloween! Thanks party. Just read where you wrote about the 4 dover boys that were killed in August 1957. Courious as to where got information on that tragedy at the farm your house currently sits. The 2 weaver boys were my great uncles and our parents, grandparents, and other family members who were present that day never spoke much of it. Would be very interested in any information as my late father was the brother who was in the service you mentioned. Found the following info doing an online search… (I was a friend and classmate of Joseph Weaver at Dover Elementary and have been haunted by this event since it happened). 4 BOYS KILLED IN EXPLOSION OF BAZOOKA SHELL. York, Pa., Aug. 11 (AP) — Four boys — two pairs of brothers — were killed by the explosion of a bazooka shell as they played “war” with the missile in a backyard near this central Pennsylvania city. The victims were GARY, 15, and JOSEPH WEAVER, 10, and LYNN, 10, and STEPHEN BAKER, 9. The WEAVER boy’s grandfather JONAS JACOBS, 76, who was sitting on a porch of the WEAVER farmhouse at nearby Weigeltown, was injured by the blast yesterday. Police said the shell was believed to have been a souvenir of a visit the WEAVERS paid to a soldier son, Donald at Ft. Bragg, N.C., two weeks ago. Officers said GARY climbed a tree in the yard of the home and dropped the shell to the ground from a height of about 12 feet. The other three youngsters were killed instantly and GARY died at a York hospital shortly afterward. JACOBS was reported in satisfactory condition at the West Osteopathic Hospital in York. The fathers of the boys, LEON WEAVER and DAVID BAKER, were fixing a television antenna on the roof of the WEAVER home when the explosion occurred. Neither was hurt. Two other shells were found at the blast scene. WEAVER said he was unaware the shells had been brought back from the Ft. Bragg visit. The bazooka shells are capable of piercing tank armor. The explosion shattered windows of the WEAVER home, scattered debris all over the yard and was heard five miles away. There was no immediate explanation of how the shells were removed from Ft. Bragg, but it was reported unofficially that an investigation is planned at the military base. Wow. Can you believe they shells were taken from a military base?! That would never happen now. There’s a house (out near East Berlin,) it’s off of Davidsburg Rd, and just past the Red Run Church that only goes left called Hoffman Rd. This was where I grew up. We were told that this road was traveled by the soldiers headed to or headed from Gettysburg. There was so much paranormal activity in that house it was unbelievable. It would be a great place for you to explore if the current home owner would allow it. It was originally a log home which my parents remodeled, but the original log is still exposed on the front porch. It’s on the right side of the road less than a mile after you turn onto Hoffman Rd. Good luck! Hi Jennifer , just read your post on the house on Hoffman Road bring haunted ,I agree more my sister and her husband now own it .My sister seen 2 children dressed in -1800 – early 1900 clothing , they were giggling standing on the living room steps.My daughter used to live with my sister ,she stayed in the room up in the attic . She and her boyfriend were woken one night by a old lady with white hair just staring at them . It’s creepy there at times . And the original wood beams are also in the kitchen and some of the living room area too , it’s a very old home over 100 years old . Thanks for posting on Hoffman Road , I was born and raised on this road and still live here on Hoffman Road . Wow, thanks everyone for the clues and comments. The story about the Weaver boys was told to me by a farmer who’s farm was behind the weaver farm, towards Davidsburg Road. I found the story and photos in a Reading Newspaper of all places. I now have a mother relative who has given me more details about the accident which clears up some questions. When I first found out about it I had to learn more. My home sits very close to where the original home sat. I was shocked when I read the whole story and saw the photos. That time period has literally been erased through time. Being a paranormal investigator I reall had to know more. Not about the deaths but the history behind it. I try to preserve history, this was a tragity, I know personally about tragities and how’s it’s easier to for get about them. For some reason I I believe I know why I am so curious about this. If you have any more information to share please send me an email at dprtghost@gmail.com. Wanted to let you kniw. If ever you need help with any investigation, please let me know. I too am able to connect with spirit. I am an intuitive and also a Medium. Have given MANY readings and spirit just comes to me. Many have called me The Long Island Medium of York…lol. I can feel spirit and how how they felt. I am an empath. Please see below for my contact info. I am originally from Weigelstown and went to Dover. If you ever need any help please let me know. I am also able to ground everyone and keep them safe. Please just remember, when I say spirit, that is exactly what they are. They are no longer people living a life here still on earth. But still must be treated with the utmost respect. Let’s face it, they were here and lived or are somehow connected to the home, land or an object. Unfortunately and fortunately, I have been given this gift. My first experience was when I was 6-7 that I can recall. Have been extremely accurate. If you wish to reach out I will leave my email address. I would also like to add that spirit has actually manifested itself through me itself several times. I know a few people on here that have commented as I went to school with them. Just within the last year have I allowed it to finally come through. It felt like there was a 3 mile long waiting list of spirit just waiting for me to finally open up for the purpose of giving loved ones peace, etc. I recently stopped someone from committing a suicide/murder. Will never mention any names for anonymity but everything I told friends and family were validated. If you want references I’ve got them and not just from that case. My daughter sees people in our house. When she was younger she talked to a small boy that she called fish at our old house. When we moved to where we are now in Dover she sees a young girl and a large shadow man. Did you contact Tom Miles? He put his email in the comment but I think he forgot to add his name. He’s on Facebook also. I’m sure he would like to talk to you. Jamie, would like to help your daughter. I’ve done this many times. Have references if you want them. Would like to know how old is your daughter, is it scaring her and have you experienced anything. I do do this on my own not with a team and am very accurate. I don’t like too much info though because I like to be able to contact spirit myself. This is for the basic fact of validation. Hope to hear from you. We currently live here. My great grandparents lived here a few decades ago. Before that my great grandfather’s parents lived here. The house was an old log home built in 1780. My great grandfather did most of the stone work on the addition and porch. We renovated it before moving in and only had one strange occurrence with our baby saying hi and waving in the middle of the night. Might of just been him practicing new skills. I will agree, before renovations it was creepy.